Ngari Kunga Jamyang (Tib. མགའ་རིས་ཀུན་དགའ་འཇམ་དབྱངས་, Wyl. 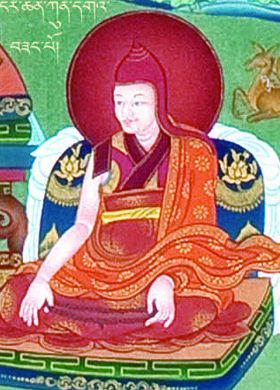 mga' ris kun dga' 'jam dbyangs) was a disciple of Jamyang Khyentse Wangpo, Jamgön Kongtrul Lodrö Thayé and Loter Wangpo. He succeeded Jamyang Khyentse as the head of Dzongsar Monastery. He was a teacher of Gatön Ngawang Lekpa. This page was last edited on 14 February 2018, at 06:53.